I had the honour to present The Bootstrapping Checklist at the Reimagine Education Awards in Philadelphia on December 5, 2016. I am a Teacher for the TDSB and this program for my Grade 8 students, the result of over 10 years of research and experimentation in the classroom, was Shortlisted to the Teaching Delivery Category. The power of guided iterative design such as The Bootstrapping Checklist is that it provides the seamless integration between pedagogy and technology needed to accelerate technology adoption by students and facilitate sustained entrepreneurial and socially innovative student projects. It is inherently mobile, social, and cloud based, and it demands that students use validated data to make design decisions. I have been innovating education for over 20 years, and in that time have learned that a school board (i.e. district) has many jobs to fulfill, and helping teachers innovate at the classroom level is one of them. Part of my job is to interpret global trends and deliver these as a service that satisfies my students, their families and me – this is real accountability, and three-part lessons or standardized tests just aren’t going to cut it anymore. I know that guided iterative design (or guided iterative inquiry) is likely the most important pedagogy teachers should be doing to successfully blend ICT and good teaching in our classrooms. I understand why it might be hard for teachers to grasp that very soon we won’t be ‘marking’ anymore, and that machine learning and extreme personalization (the automated solution to what teachers like to call ‘differentiated learning’) will accomplish these tasks with the speed and accuracy impossibly achieved by any teacher. Closing the gap between the ‘system top’ and the ground, where the Teacher is social entrepreneur, and leadership is shared among innovative Teachers, Principals, District Supervisors and the rest of the EdTech Innovation Ecosystem, as described by UPenn’s Bobbi Kurshan here – http://bit.ly/2gOO816 – is one critical challenge to overcome if we are to balance automation with our humanness in education, both locally and globally. Teachers should now practice Project Management skills more to facilitate schools as innovation hubs (the classroom as incubator – the school board as accelerator), where guided iteration like The Bootstrapping Checklist will help students to glean the data needed for capital and resource acquisition specific to their community needs, using a truly constructivist learning model. The data can be used to build public and private community partnerships, and turn public schools into hybrid remote/physical community innovation hubs. By properly combining pedagogy like The Bootstrapping Checklist and ICT, we can accelerate technology adoption and collaboration by middle and high school students to produce cohorts of students that are more than HigherEd ready, and we can start now to try to alleviate a projected year 2030, 25 million global teacher shortage by attracting the best and the brightest to the teaching profession. We live within a dualism inherent to our physical universe, and the EdTech universe works the same way – we will never fully automate, and perhaps for global regions that are desperately in need of educational interventions, bringing in automation to initiate a support level of literacy and numeracy is an amazing idea, and I hope it does happen. But these interventions are not the end goals, and will lay the foundation necessary to incite and produce teachers who can integrate the arts, entrepreneurialism, and social innovation to facilitate the human interactions needed to balance and sustain any system that we create. The EdTech Innovation Ecosystem is rich and vast and will require participation from many varied players – but one thing I have learned is that any future reality is possible – we can build systems where technology fully automates education to the service of an oppressive few – of this I have no doubt. Much more suitable is the coexistence of extreme automation and human participation – this is the brave new world that excites me and my students. Good Ed/Tech Innovation occurs at the intersection of sound pedagogy and technology, and are thus critically complimentary. Reimagine Education is an annual, Philadelphia-based event, that is co-hosted by Wharton, The SEI Center, and QS (Quacquerelli Symonds). The event is convened on the premise that ‘educational theories, practices, and policies have always operated in a state of flux, and have always been subject to critique and development’. The event organizers seek to provide a platform ‘whereby academics, educational entrepreneurs, thought-leaders, and policy-makers can unite to ensure that the world’s tertiary education system is preparing its students for the economy, society, and challenges of the future’. I had the honour to present The Bootstrapping Checklist at the Reimagine Education Awards in Philadelphia on December 5, 2016. The Checklist was Shortlisted in the Teaching Delivery Category, and is the result of over 10 years of research and experimentation in the classroom, and I have a host of people to thank for their support and patience, especially my wife and my family and friends, and Kristan Uccello, Salar Chagpar of Prepr.org, CTO of Stanford University Dr. Paul Kim, TDSB CTO Peter Singh, Marc Lijour, Cindy van Wonderen, and many others, and most especially the kids at Robert Service Sr PS. It is no secret that public education has slowly and systematically been eroded in the United States for at least the past 30 years, and both the public and private sector will be vying for a slice of the ever-growing global ‘EdTech Pie’ – automate education to solve the 25 million 2030 global teacher shortage, or also invest in public education globally to ensure that technology facilitates our human connection by training and supporting teachers to be innovative and entrepreneurial. As an advocate for social and open innovation, and the arts and entrepreneurial education in our classrooms, I do believe that the public and private sectors have critically everything to offer each other if we are to solve the many problems facing our global community now and into the future. 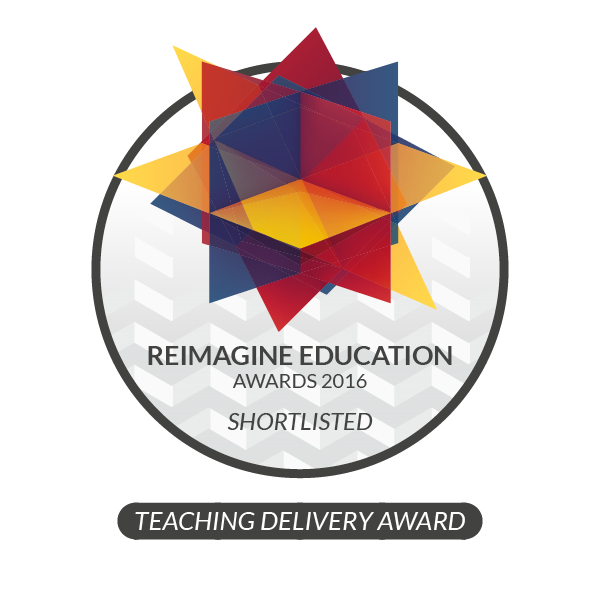 I want to thank the The Wharton School, University of Pennsylvania Graduate School of Education, QS Top Universities, and the organizers of the 2016 Reimagine Education Awards for inviting a Canadian public school teacher to represent the new innovative spirit taking place in our local and global teaching profession, and I look forward to further engaging the global educational ecosystem as we move into a new world where automation will coexist and complement a healthy and vibrant physically and remotely connected global learning community. And thanks Jack Hammond – it is indeed ‘an uncommon revolution”. Here you can watch the 2 minute video prepared for the Wharton QS Stars Reimagine Education Awards 2016 in Philadelphia. The Bootstrapping Checklist was presented on December 5, 2016 in Philadelphia at the Reimagine Education Awards and exists in the Creative Commons as an open innovation project.